Oracle Database Administration examples and more! My words are mine and only mine! Oracle just released Oracle 19c for Exadata On-Premises. This is just close to a year when they released the 18c version for Exadata On-Premises on February 16th 2018. If they follow the same schedule, we may expect 19c for the Database Cloud Service early next month. 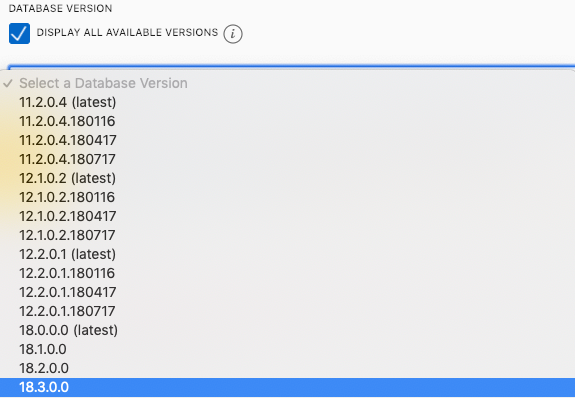 I did check the versions available in the Oracle Cloud for VM, Bare Metal and Exadata. No 19c version as expected. Now is time to start playing with the new features of 19c. Stay tuned! I am feeling great to read this.you gave a nice info for us.please update more. Oracle Database 19c is now available! Does An Oracle Commit Always Have A Blank, Empty Or Null SQL_ID?